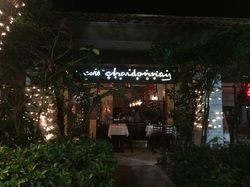 CAFE CHARDONNAY. A fixture since 1986, this restaurant combines great food and great service to make a memorable dining experience. 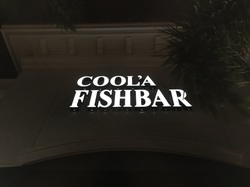 COOL'A FISH BAR. 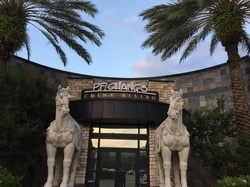 Located at legacy Place in Palm Beach Gardens, this casual eatery combines great food and a relaxed, tropical vibe. HAPPY HOUR AT P.F. CHANG'S. The "hours of happy" run 3-7 p.m. at the Asian Bistro in The Gardens Mall. With good food, good drink and good prices, you'll find a lot of be happy about. PROSECCO CAFE. 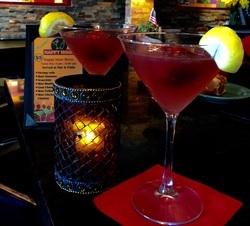 Prosecco Cafe at 4580 PGA Blvd. in Palm Beach Gardens. Opened in 2011, it is already well known for its European vibe and healthy menu options. Happy Hour is their latest addition.